George Koo: There is a more to Huawei’s trouble with Congress than meets the eye. There is a more to Huawei’s trouble with Congress than meets the eye. Huawei’s debacle with US Congress raises troubling questions at many levels. Huawei will be paying a heavy price for a colossal failure to communicate across the two cultures, but this story is more than about just one company. Huawei initiated the dialogue by inviting a Congressional investigation of its company operations. The House Select Committee on Intelligence responded but did not give Huawei officials the desired endorsement. Instead, the House Committee specifically recommends that the US government and private sector entities do no business with Huawei on the ground that their equipment constitutes a national security risk--a devastating hit on Huawei’s reputation that could hurt Huawei’s business around the world. Based on the company’s past engagements in the US market, Huawei should have anticipated a hostile reception. Its past attempts to make a minority investment in a floundering 3Com and an acquisition of a relative start-up were stymied by the US government as a perceived threat to the US national security. The company is said to have spent hundreds of thousands of dollars on consultants and Washington lobbyists to help Huawei deal with the Congressional committee. Apparently these advisors did not appreciate the rather formidable built-in bias Huawei needed to overcome. Drawing from their investigative report, it is clear that the Committee began on the presumption that Huawei represents a real threat to national security. Nothing in the eleven-month investigation changed their minds. Just the mere possibility that cyber espionage can take place via Huawei equipment was enough to brand Huawei a risk to national security. To overcome the bias, Huawei would have had to prove that Huawei equipment could never host cyber attack against the US, obviously not a stand Huawei could take credibly. By way of mitigating the Committee’s concern, Huawei offered to have all their equipment thoroughly tested and certified by an independent laboratory before the equipment could be introduced into the US market similar to the arrangement accepted by the government of Great Britain. The Congressional Committee rejected Huawei’s proposal for the following reasons: (1) The US market is too large for any testing to be sufficiently comprehensive. (2) The testing only applies to the configuration being tested but the configuration could be altered subsequently during installation or later upgrades. (3) Such a certification can even encourage a false sense of security and reduced vigilance. In other words, there was no way for Huawei. The Committee asked Huawei to provide information on their contracts, pricing practice for their products and services and scope of their operations and, recognizing the sensitive nature of the information being sought, offered to receive such information under a confidentiality agreement. Apparently, Huawei did not have the confidence that Congress could keep information confidential and refused to comply. Thus the Committee concluded that Huawei might be selling “at least some of its products in the United States below the costs of production,”--a huge leap indeed based on information the Committee did not get. The Huawei officials also failed to established empathy with the House Committee—to put it mildly. Given a Congressional body with no understanding of China or at least none that they would admit to, empathy may have been too much to aspire. The Committee could not even make a distinction between state owned enterprises (SOEs) and privately owned ones. Somehow in their minds, a large successful private enterprise must be connected to the Chinese government, and a sinister connection at that. They insisted on wanting to know about how Ren Zhengfei, Huawei’s founder, was able to leave his SOE employer to start his own company, as if that was unheard of, while actually in the late ‘80s and early ‘90s, people in China were leaving SOEs in droves. How was Ren invited to attend the 12th National Congress, the Committee asked? Huawei’s answer should have been: Jiang Zemin began to recognize the important role of entrepreneurs in China’s economy and selectively honored them by inviting some to the national confab. The House Committee’s conclusion on Huawei, as its report readily admitted, was based on hypotheticals and not on specific illegal acts committed by the company. The hypotheticals are easy to conjure. However, the only known successful cyber attack the world knows for certain is the deployment of American made Stuxnet worm on the Iranian centrifuges. Certainly Americans have the bona fides to imagine how cyber attacks can be done. The Internet is populated with screaming accusations from network security consultants—undoubtedly looking for work—pointing to China as the source of rampant cyber attacks, thus providing cover for Congressional paranoia. The Committee does claim to have smoking guns describing Huawei wrongdoings but these are classified and not available to the public. In a way, this is reminiscent of the Cox Committee’s investigation in the late 1990’s on the alleged espionage activities of Chinese in America. The unclassified part of the Cox Committee report painted a lurid picture of Chinese espionage running amuck in America. Tens of thousand storefronts in America registered to Chinese entities were cells and every ethnic Chinese was a potential spy for China. The Cox Committee also assured the public that they had smoking guns though consigned to the classified section of the report and not available to the public. 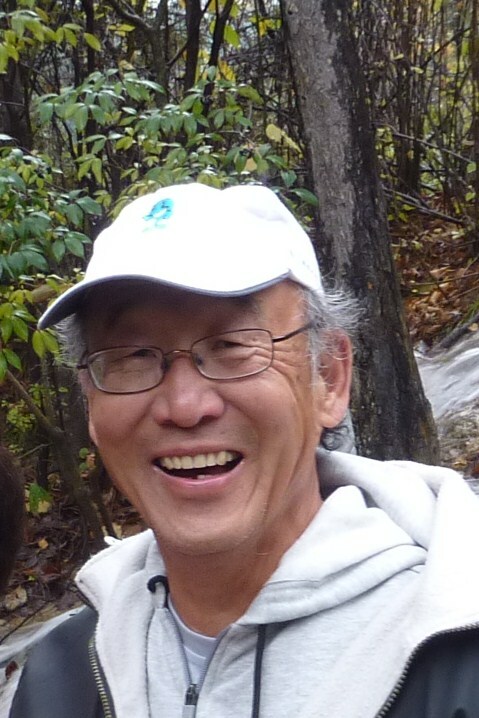 By now the smoke from the Cox Report has largely dissipated and the only concrete result was the arrest of Los Alamos scientist, Dr. Wen Ho Lee. He spent nine months in solitary confinement before the presiding judge apologized to Lee and threw out the case. The legacy of the hysteria created by the Cox Committee investigation is a lingering suspicion of the loyalty of Chinese Americans and the erosion of the idea that US Congress behaves honorably. Sadly, politicians have continued to find profit in taking pot shots at China. The incumbent President Obama, a Nobel Peace laureate no less, proclaimed a military pivot to Asia, and thus encouraging conflict in the waters around China, to show that he is not soft on China. His opponent, Romney, promises to declare a trade war against China on the day he takes office—if elected. Members of Congress regularly take the floor to blame China for all the economic woes in America. None of the American leaders of any stature have spoken about the importance of getting along with China. Bashing China has no apparent down side for American politicians unless and until the bilateral relations between the two most powerful nations spiral out of control leading to tragic consequences. The challenge for the incoming leaders of Beijing is to strike a balance between being more transparent to ameliorate American feelings and reassuring its own constituents that China’s sovereignty is not being compromised by American demands. It will be up to the American people to punish mindless China bashing by voting the offenders out of the office and encourage leaders that recognize the importance of promoting mutual trust between the two nations. What’s at stake is the future peace and prosperity of the world depending on China and the US getting along without rancor. A shorter version appeared in China-US Focus.